Collections, Bankruptcy, Commercial Litigation, Estate Planning and Probate, Homeowners and Condominium Association Law, Healthcare, Business and Employment Law, Real Estate, General Legal Counsel and more! As a local Tampa law firm our people have been a part of the Tampa community for years. We love supporting the Tampa Bay area and are committed to giving back to our community with events each year to benefit local charities. 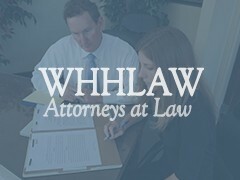 Wetherington Hamilton P. A. is a full service business law firm located in downtown Tampa, Florida. We are committed to integrity, resolution and strong advocacy for our clients. The firm is AV rated by the Martindale-Hubbell Law Directory. Our practice areas include commercial and business law, contract preparation, estate planning and probate, commercial transactions, bankruptcy, real estate, homeowner association law, employment law, healthcare law and more. It is our goal to serve the community with our legal expertise in a timely, efficient and affordable manner.